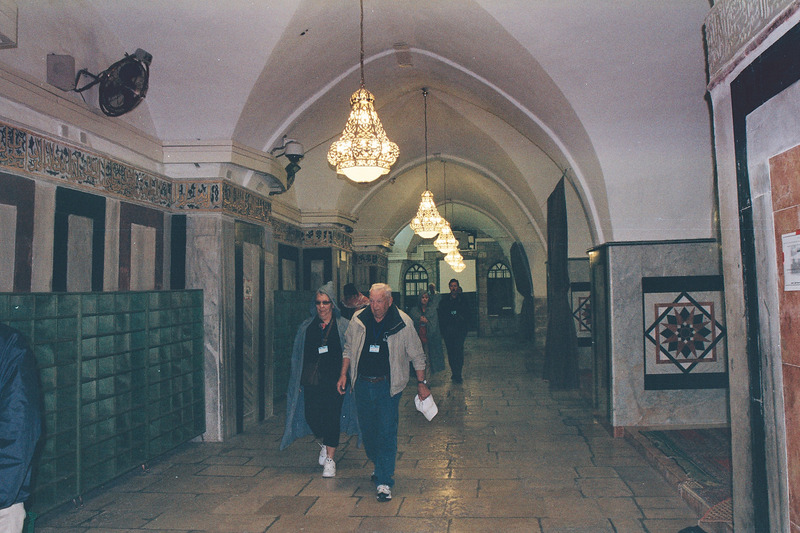 The following are some of my pictures of Abraham’s tomb, located in Jerusalem. As you would probably deduce this tomb would not have been built for Abraham upon his death, there would not have been this kind of architecture in this location at this time. 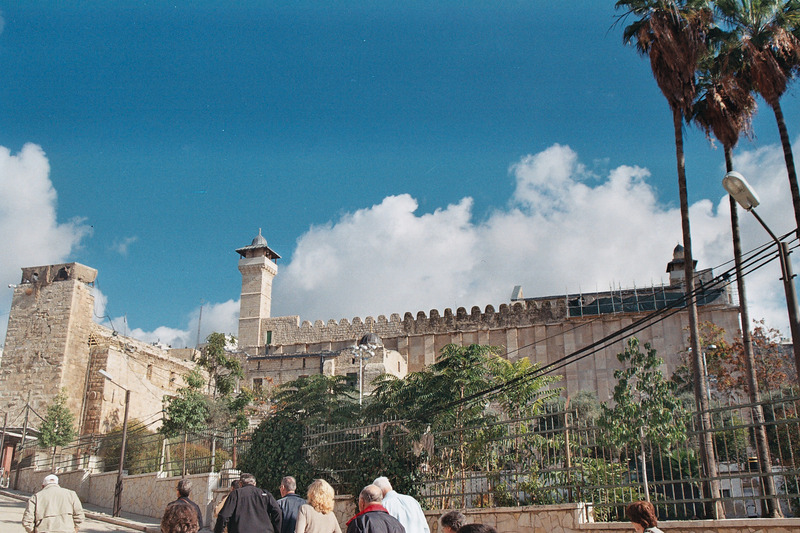 The tomb, also described as a fortress, was built by Herod the Great, about 3,000 years after Abraham lived. This is my picture of Abraham’s tomb, obviously not a product of 3,000 BC. I found it incredibly fascinating that Herod the Great built not just this, he rebuilt the temple, a huge feat in and of itself. He built Masada. 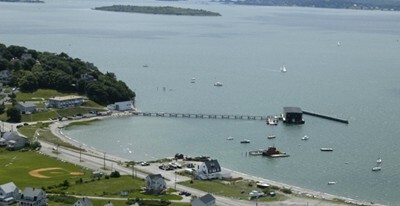 He built an amazing fortress on the top of a man-made “mountain”, which, I can’t find any pictures of and I’m very upset. 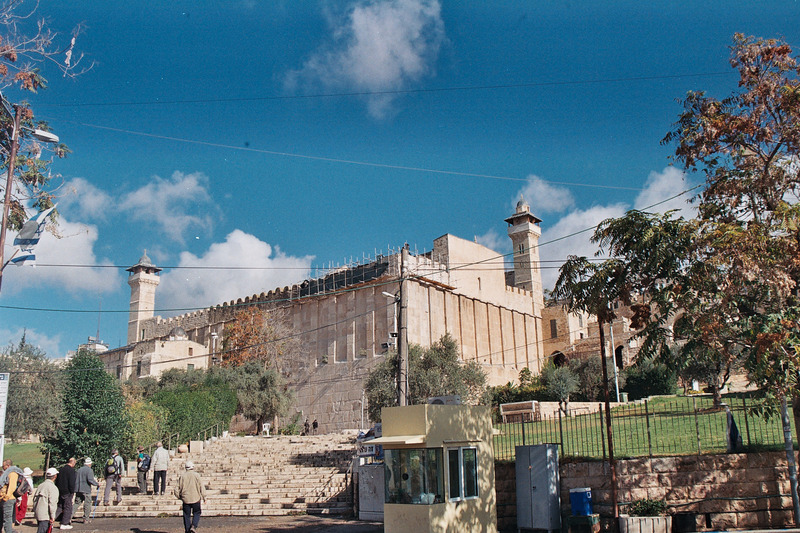 Herod was called “the Great”, because of his amazing architectural accomplishments. I’m not aware of any other rulers who were honored with “Great” because of their building. Obviously the significance of this “fortress” is not about Herod, but for the reason that this structure was built here. I found a good description of this by Bruce Feiler in his book “Walking The Bible” and the following is his description on pages 67 and 68. 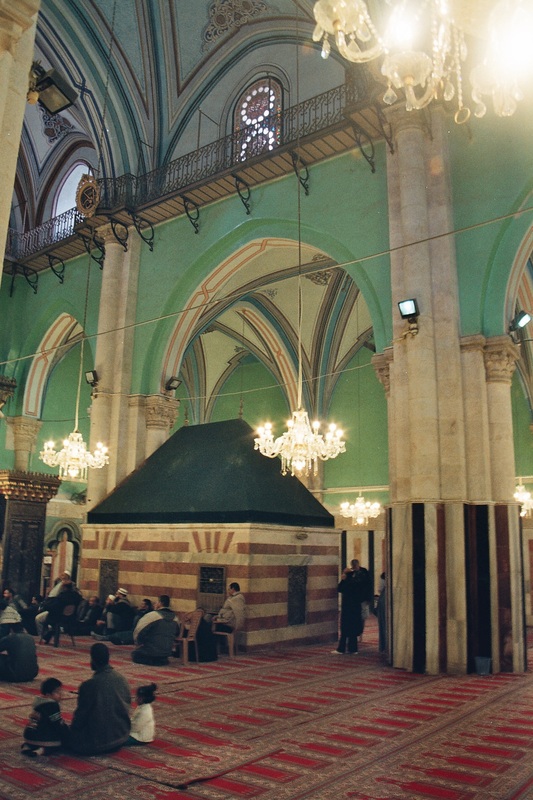 This is located in an area that is Muslim, and has been divided between Muslim and Jewish. Both Islam and Judaism, as well as Christianity, recognize Abraham as their “Father”, Judaism through Abraham’s and Sarah’s son Isaac, Islam through Abraham’s and Hagar’s son Ishmael. 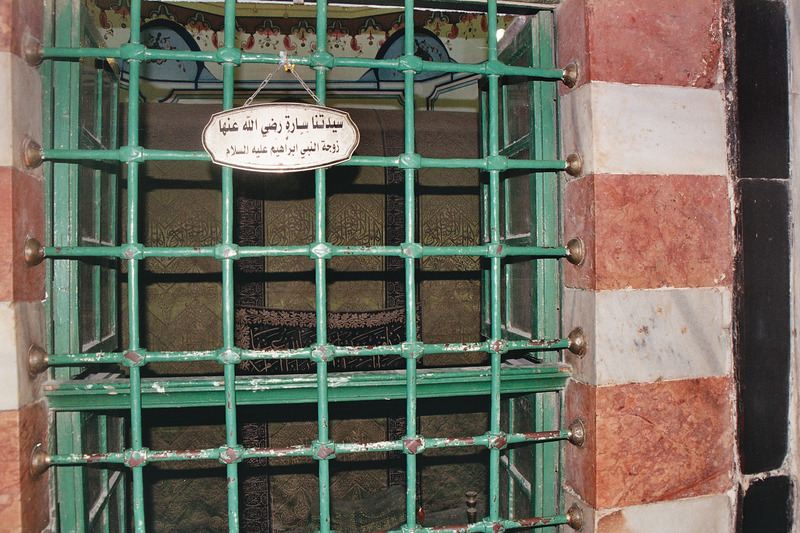 This picture is of one one of the “cells” containing a tomb. I can’t tell who would have been buried here though. 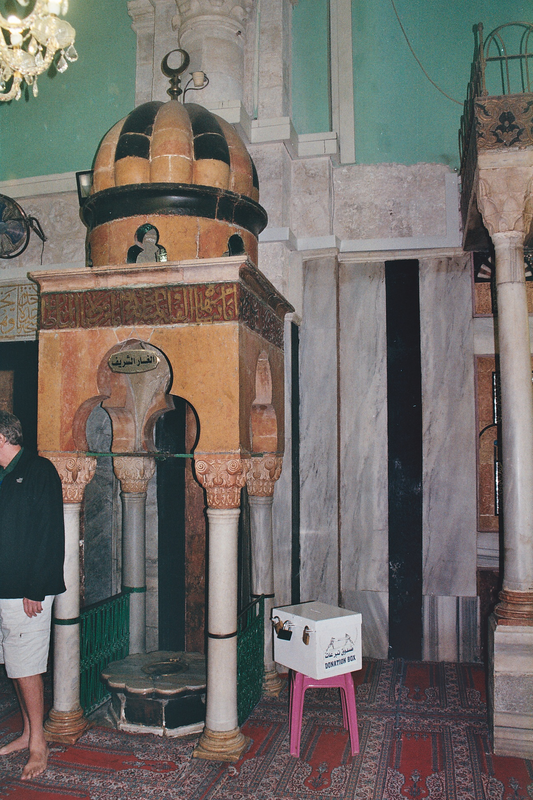 This final shot showing part of a Muslim worship area. This entry was posted in History/Apologetics and tagged Abraham and Sarah, Bible, Exodus, Herod the Great, Islam, Jacob, Jewish, Muslim on August 29, 2015 by Pastor Jim Driskell, Lutheran Church.